Ypres (Menin Gate) Memorial. Panel 4 and 6. Harold was born in Calcutta, India, on September 24th 1893, the son of medical doctor James Wallace and his second wife Edith. 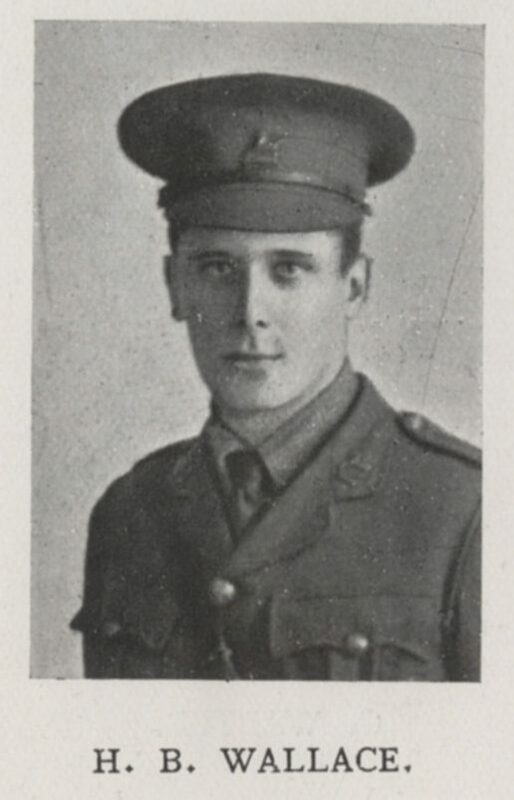 Whilst he was still young his father passed away, and as a result he moved to London with his mother, where he joined the College at the beginning of 1907. He would go on to be at Dulwich for the next six and a half years, leaving in the summer of 1913 whilst a member of the Army Class. During each of his last two years he was a playing member of the 2nd XV, and he would continue his rugby career after leaving the College, going on to join the Old Alleynians. 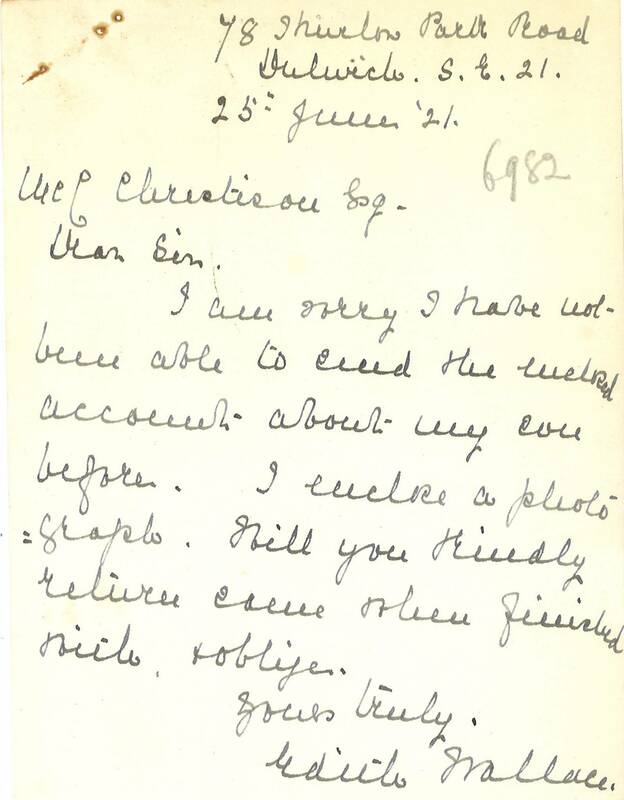 In December 1913 he took up a commission as a reservist in the King’s Liverpool Regiment. 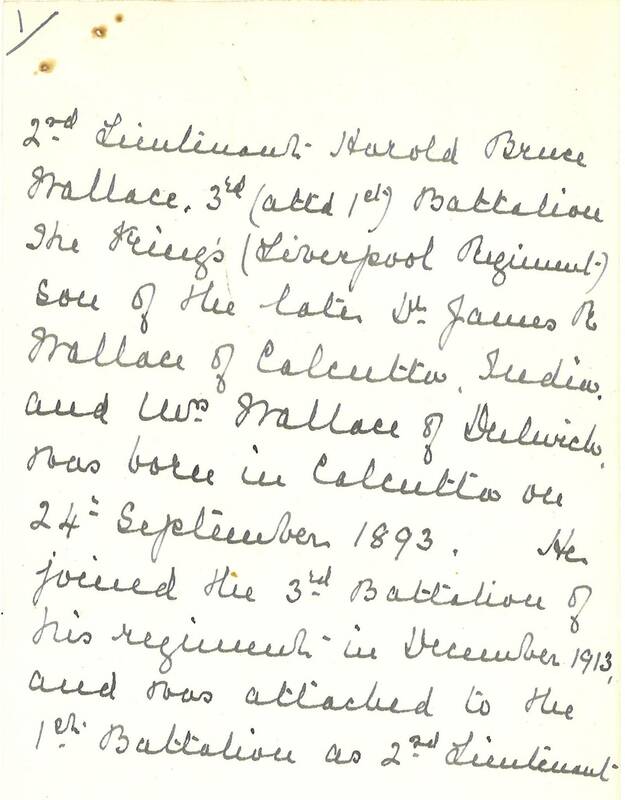 When war in Europe was declared the following summer Harold was mobilised, and attached to the 1st Battalion of his unit, with whom he went overseas that September. After just over a month at the front, on October 26th 1914, he was killed in action whilst men of his platoon in an attack on the village of Noord-Westhoek, near Ypres.